The first official Central City Tower Production, Project 0 . An outsider, in a world far removed from his own, finds himself gifted with the power to create change. After being shunned by a local community he and his only two friends plan to travel the world to find his home. While preparing their flying machine, their lives collide with a mysterious paramilitary company, the Lancers , and the dangerous saboteurs that will go to great lengths to stop them. This chance encounter sets an adventure in motion. Fell From The Sky how Owen got here in the first place. Getting him back there is also the reason the kids decide to build a flying machine. Fantastic Racism: Outsiders are met with either disbelief or disdain. Bullying a Dragon: Owen lives alone because of it. 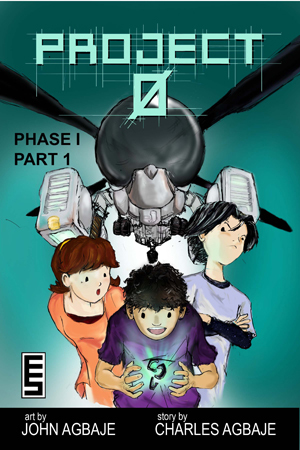 Justified in Owen's case as he's a superpowered alien, but Aatu drives a car at age 13. Standard Sci-Fi Army: With some Space Navy elements.